The relationship of clay to its environmental origins is often removed from contemporary ceramic practice, where the commodification and convenience of making has dictated the material to serve a form or function, foreign to its elemental nature. 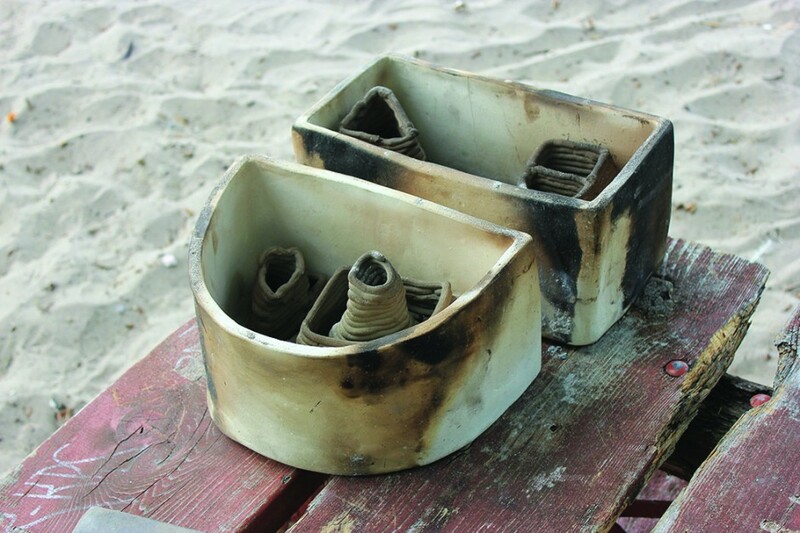 Drago’s project was conducted at Artscape Gibraltor Point, Toronto Island, as a response to that disconnect. The works were mainly produced without a conventional ceramics facility, using raw clay from Queens Quay, and bricks from the Leslie Street Spit. Through experimental processes, the final work was informed by natural factors of the island, and subjected to unmediated elements of risk, failure, and uncertainty.